Easter egg hunts aren’t just for little kids. Hear me out and I think you’ll agree that an Easter Egg Hunt for adults is a fabulous idea. My mom and dad used to organize an Easter Egg Hunt for us “older” kids who ranged in age from late teens to late-20s. How do you get teens and 20-somethings (or even the “29 forever” folks) to participate in an Easter Egg Hunt? Oh, you up the ante. That’s how. My mom put money in the eggs. Cold. hard. cash. I don’t remember how many eggs she hid, but there was at least one egg that had a $20 bill. 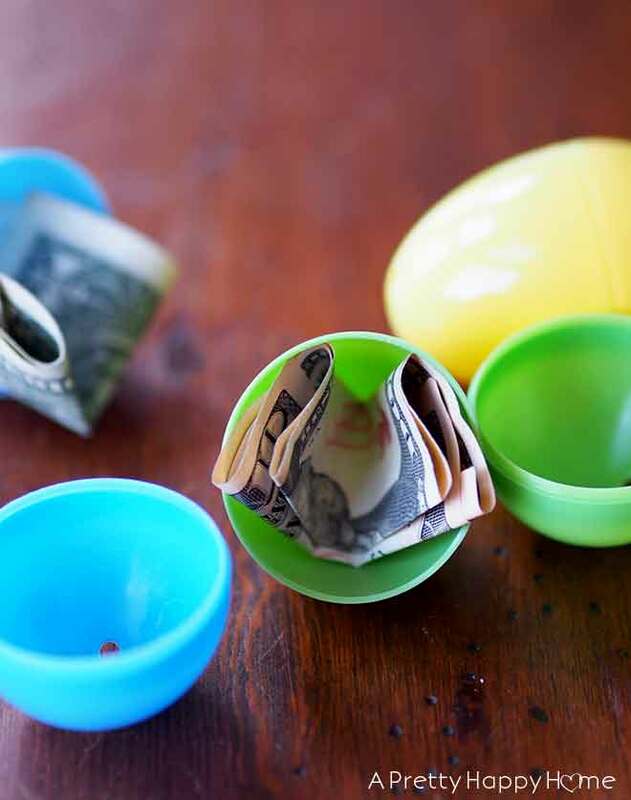 There were some eggs with $10s and $5s. 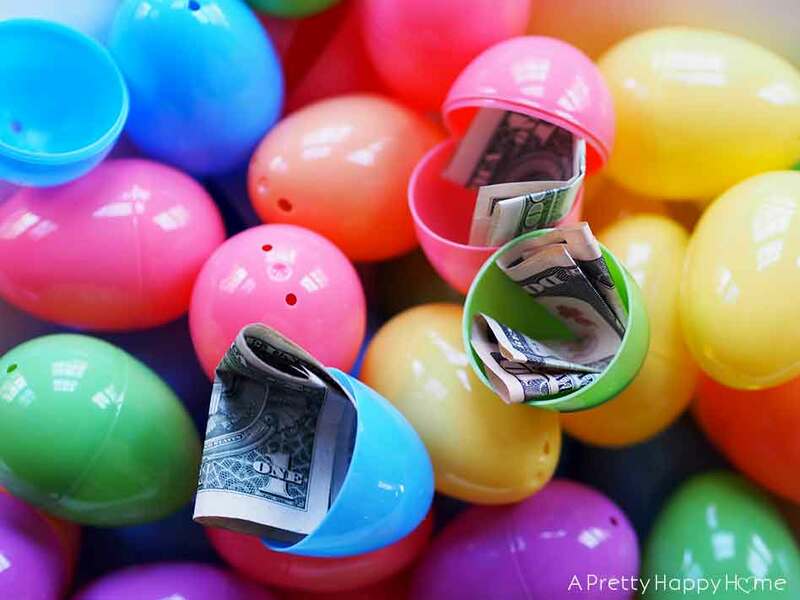 Many of the eggs would contain a $1 bill. I remember feeling that we were “way too old and way too cool” for this lame idea. In an instant all of our reservations and adult obligations slipped away and we were 5 years old again. I can still remember that feeling of joy that bubbled up inside of me. It was competitive and hilarious and over way too quick. The next year when Easter rolled around, guess who asked Mom if she was doing the Easter Egg Hunt for adults again? ALL OF US. It wasn’t about the money. Although, who doesn’t like the idea of finding 20 bucks? It was about having a moment to be a kid again. A moment to not take life too seriously. And I have a feeling my mom got something out of it too. Kids don’t realize it, but being an adult is highly overrated. Except for when we eat the kids’ Easter candy after they go to bed. Then it is pretty awesome! 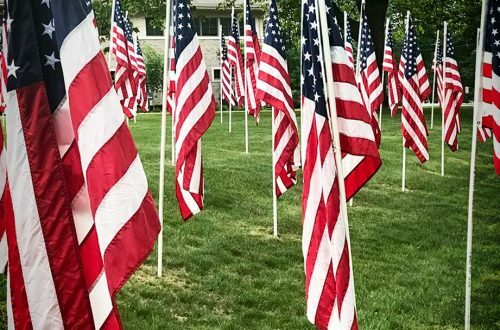 If you are celebrating Easter with friends, one way you can implement this idea is to have every participant chip in some money. Say you all bring $10 and then someone divides the money between the plastic eggs. You have a chance to break even, to make more than your $10 or to lose a few bucks. But most of the fun will be in participating in the hunt! You could also tweak this idea and use scratch-off lottery tickets instead of cash. Just, whatever you do, don’t lose track of where you hide the eggs. I’m talking to you, Dad! Although, I sure was happy to find that $5 hidden in my flowerbed three months later! Took the sting out of weeding, that’s for sure! Thanks for reading! I hope you love this idea! If you have an Easter Egg Hunt for adults, I’d love to hear about it. In the meantime, here are some other posts for your reading enjoyment. Mother’s Day Necklace using Washers and Nail Polish great DIY gift from a preschool or kindergarten age kid. What a great idea. I hope you find some adults to do this with. I’m not sure what I’m doing for Easter but if I’m with my adult sons and grandkids I might do it. I hope you have a Happy Easter and that the Easter Bunny brings you lots of chocolate. PS I can almost see your dad with a big grin on his face watching all of you. Oh, it was a hoot for sure! I hope you have a great Easter too with your family. May there be good company and lots of yummy food!